I decided to try this recipe because I wanted to get rid of some frozen strawberries and rhubarb I had been left over in my freezer from last summer. Turned out, it was a hit and everyone in the family loved it! 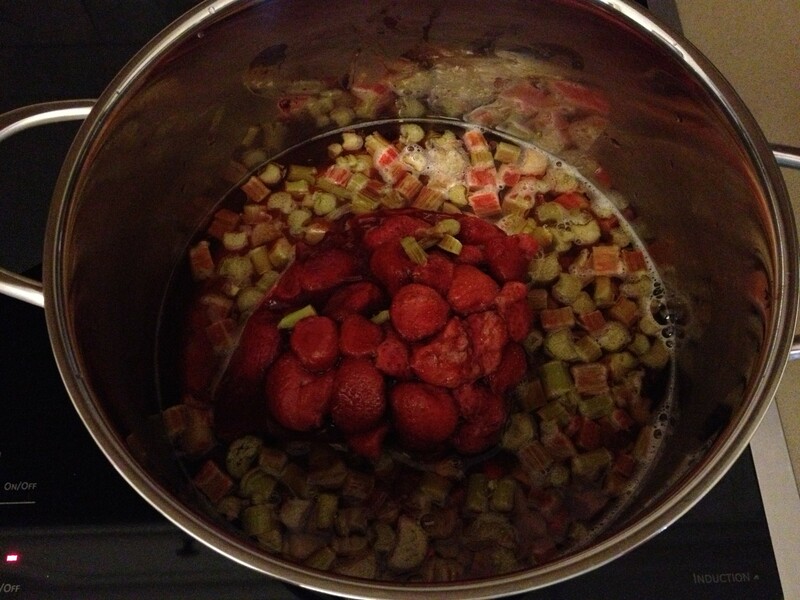 The strawberries gave it a natural sweetness and the rhubarb was slightly tart so it was a nice combo. (We added a bit of honey at the end to taste). It was very simple and hardly took anytime to make. Here is the recipe, hope you enjoy it! 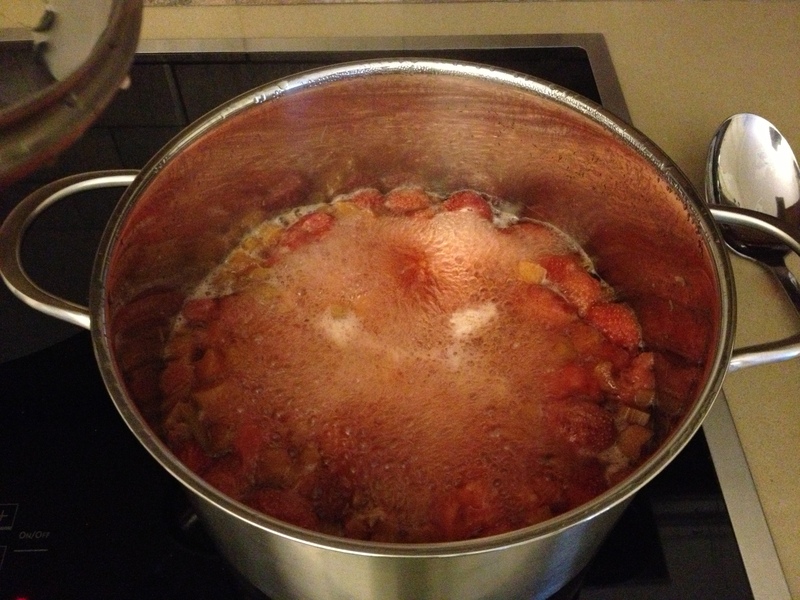 In a large saucepan bring strawberries, rhubarb and water to a boil, reduce heat and simmer for 15 minutes. Turn off the heat and allow to cool. 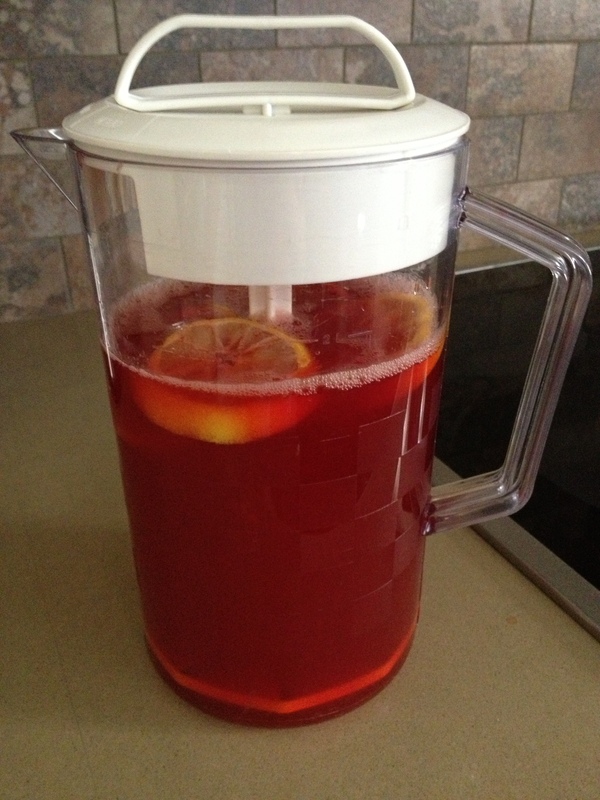 Strain the juice into a pitcher making sure that no chunks of strawberry or rhubarb get into the pitcher. 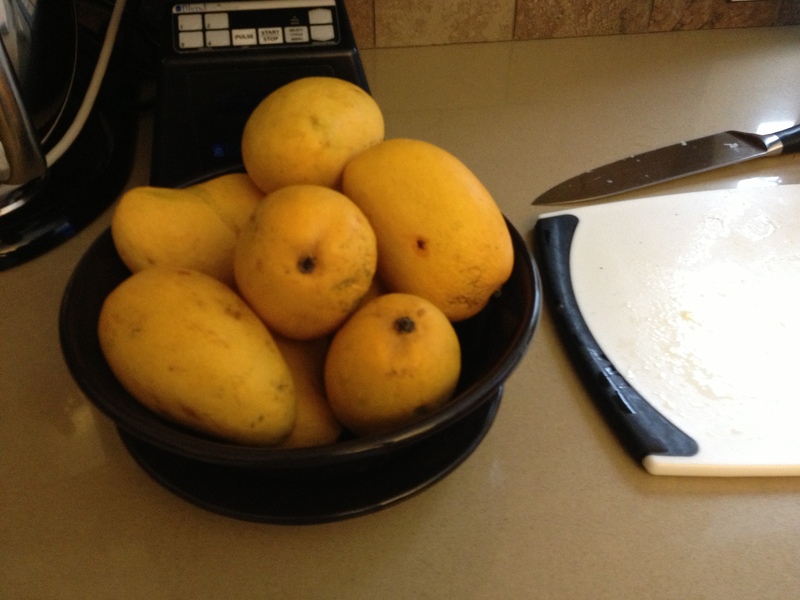 Cut up the lemon and add to the pitcher, add honey or maple sugar to sweeten. Put in the fridge and chill for 4 hours. 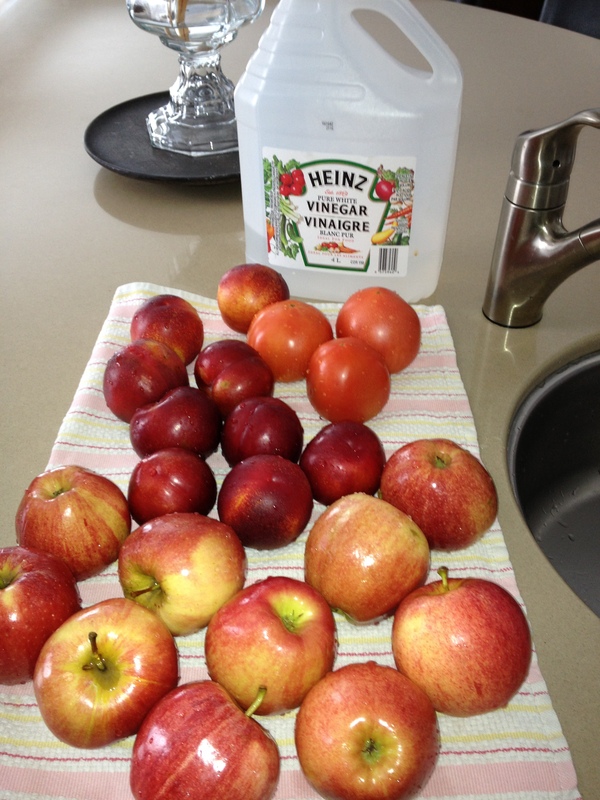 If it is too concentrated just add more water and if it is too bland use less water next time. Enjoy!!! 2. Lay out the cashews and almonds on a baking sheet. 3. Bake for 15 minutes. Be sure to stir once or twice so that they do not burn. 4. Remove from oven and allow to cool. 5. 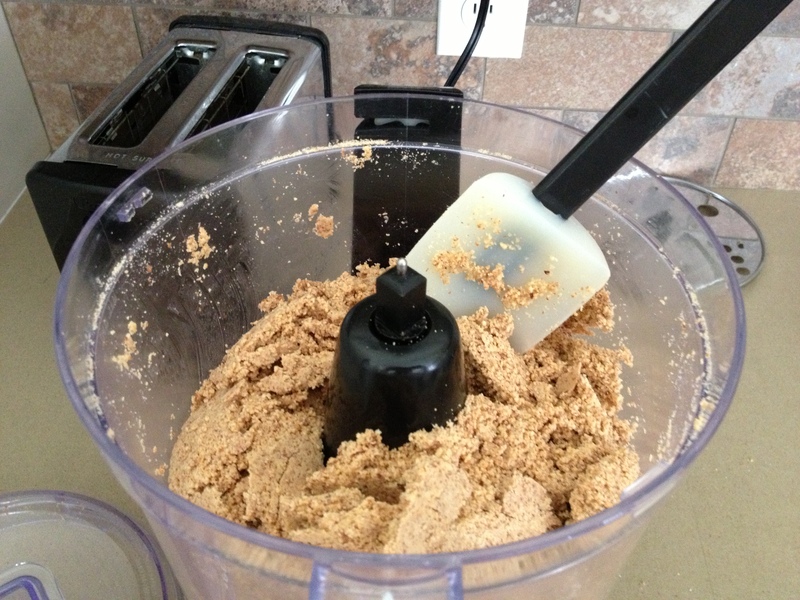 Place in the food processor and blend for 6-8 minutes or until they turn into butter. If you want it to be more liquidy you could add some water. 6. 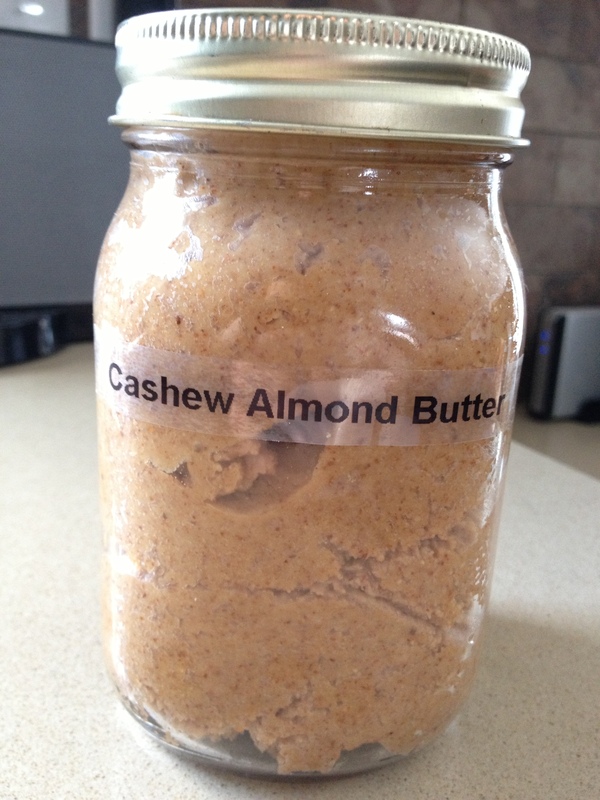 Label and place in a mason jar and store in the fridge. In a sauce pan combine the olive oil and leeks. Cook on low heat until the leeks are browned. (Make sure when you chop up the leeks to include even the dark green parts at the ends – they add more flavor). Once the leeks are cooked, add the potatoes and allow to cook with the lid on for a few minutes. Add the stock and bring to a boil, reduce heat and simmer over medium heat for about 30 minutes or until the potatoes are soft. 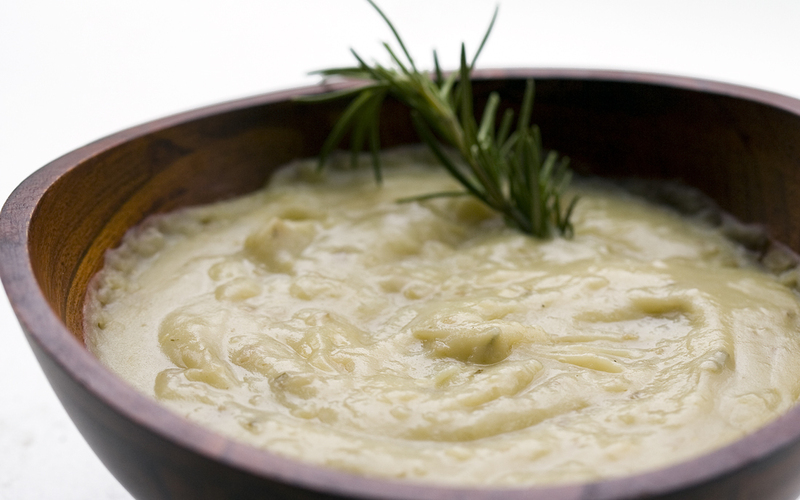 Use an immersion blender and blend the soup until smooth. You can add more or less broth depending on how thick you like your soup. Add sea salt to taste and serve warm!! Mangos are among the most popular fruits to add to smoothies. They add amazing flavour and texture. I bought a huge box this year and cut them up and froze them. It was cost effective, didn’t take much time and now we have frozen mangos for the next couple months to add to our smoothies. Personally I prefer yellow mangos (they are sweetest) but they are all sorts of mangos available these days. Hopefully to enjoy them as much as we do! Blend for 1 minute and drink immediately!! I tried something new yesterday and although I was skeptical, they actually turned out really well. I made kale chips, it simple and quick. All you need is fresh kale, 1 tsp of extra virgin olive oil and sea salt. 1. Wash the kale and dry completely. 2. Break off small pieces of kale leaves and place them in a large ziplock bag. Do not use any of the steams, they are really bitter tasting. Once you have a desired amount of kale, add 1 tsp of extra virgin olive oil, zip up the bag and shake. 3. Remove the kale from the bag and place on a cookie sheet. Bake for 30-40minutes at 350F. If you like the chips more crispy you may need to leave them in a bit longer. I heard about this idea from a friend so I tried it and it was definitely worth posting!!! I hope you enjoy it as much as we do!!! I used steamed beats to make this purple hummus which was extremely simple. 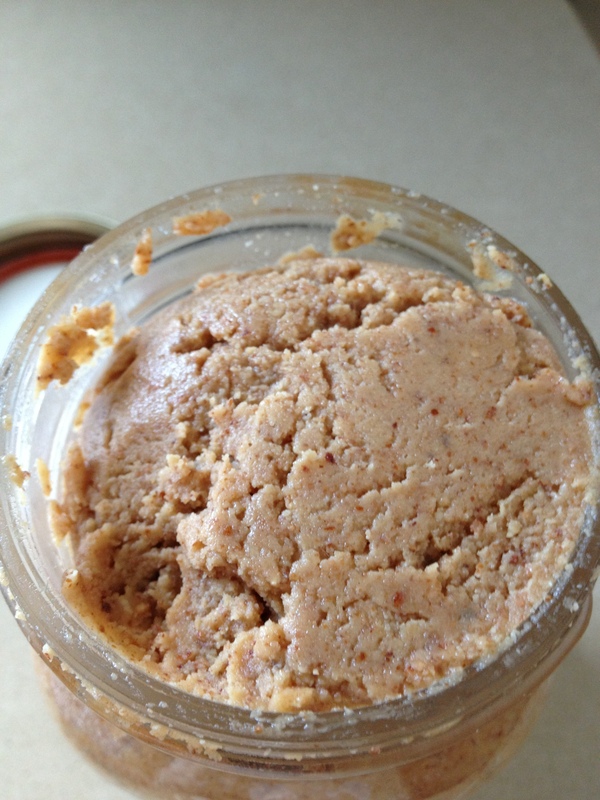 All you need is a regular hummus recipe (below) and at the end take two beets and throw them into the food processor. You can add as many beets as you like, I didn’t find that they changed the taste very much. It is simple and looks amazing! It’s a perfect holiday appetizer served with garlic toast or crackers. 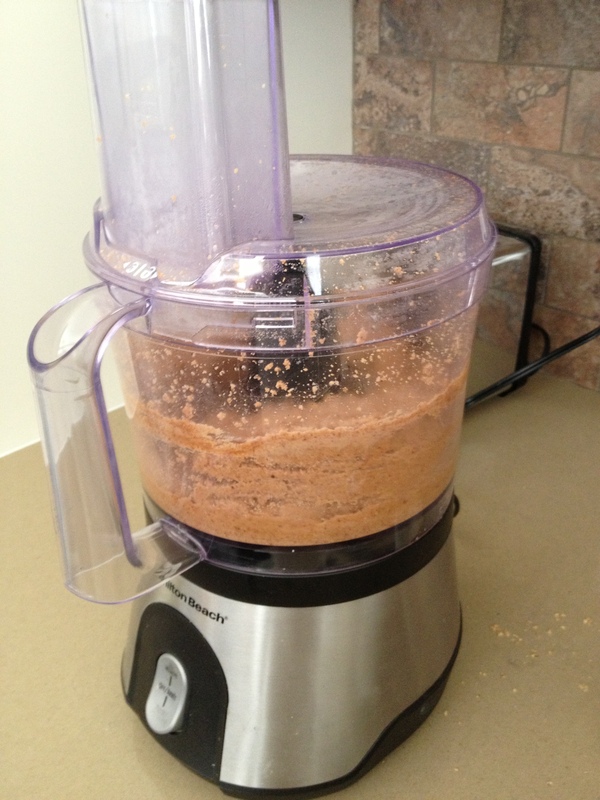 Mince the garlic into the food processor. Add chickpeas, lemon juice, tahini, oil and salt. Blend until it is creamy and well mixed. 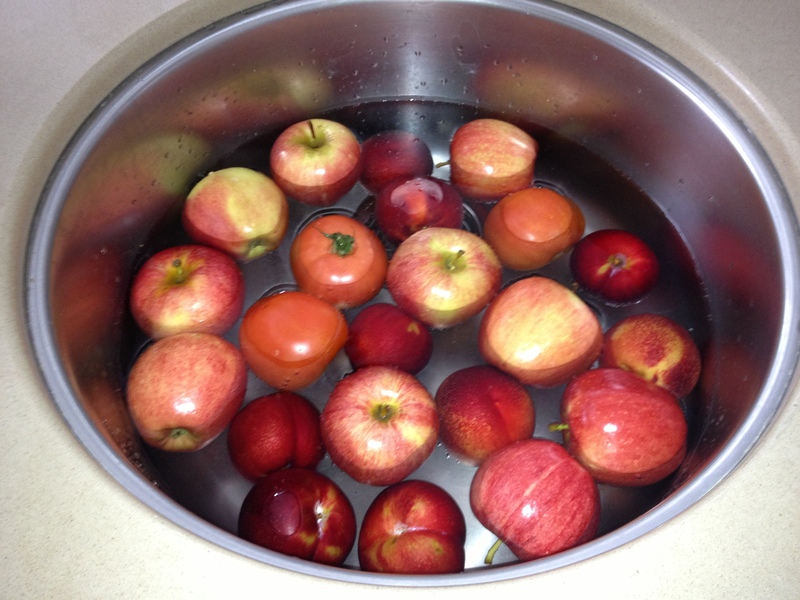 If you want to thin the mixture, add a small amount water until you get your desired consistency. Store in an airtight container in the fridge.